All of the Barry University School of Education graduate programs are accredited by the regional accrediting agency, Southern Association of Colleges and Schools Commission on Colleges. Barry University is accredited by the Southern Association of Colleges and Schools Commission on Colleges to award baccalaureate, masters, specialist and doctoral degrees. Contact the Southern Association of Colleges and Schools Commission on Colleges at 1866 Southern Lane, Decatur, Georgia 30033-4097 or call 404-679-4500 for questions about the accreditation of Barry University. The Ph.D. in Counseling Program at both Miami Shores and Orlando was granted national accreditation in July, 2009, from the Council for Accreditation of Counseling and Related Educational Programs (CACREP). Council for Accreditation of Counseling and Related Educational Programs (CACREP) can be accessed at http://www.cacrep.org/. The Master of Science (MS) in Counseling Program at both Miami Shores and Orlando was granted national accreditation in the Mental Health Counseling; Marital, Couple, Family Counseling and Therapy; and School Counseling specializations in April 2003, from the Council for Accreditation of Counseling and Related Educational Programs (CACREP). 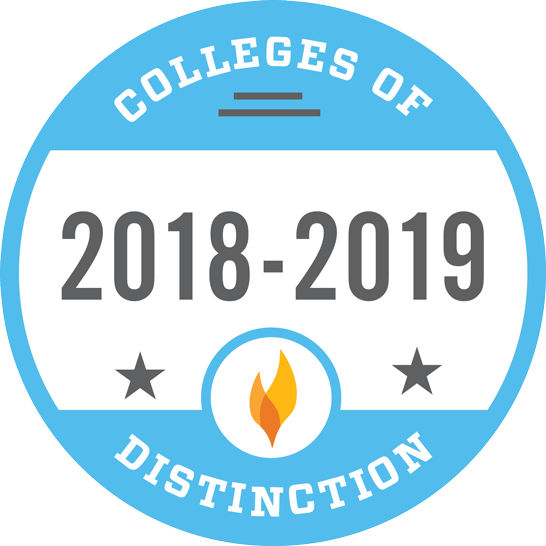 This distinction represents reaccreditation for the Miami Shores campus and initial accreditation for the Orlando campus. Council for Accreditation of Counseling and Related Educational Programs (CACREP) can be accessed at http://www.cacrep.org/. The Council for Accreditation of Counseling and Related Educational Programs (CACREP) is the premiere national accrediting agency for Counseling Programs; accreditation from CACREP signifies that the accredited program meets the highest training standards of the counseling profession. The Council for Accreditation of Counseling and Related Educational Programs (CACREP) does not accredit Educational Specialist programs. Graduates of Barry's Counseling Program are eligible to take the examination to become a National Certified Counselor (N.C.C.). The Master of Science (MS) in Counseling, School Counseling Specialization at both Miami Shores and Orlando campuses is approved by the Florida Department of Education to prepare school counselors at the elementary and secondary levels and leads to Florida Certification in Guidance and Counseling PK-12. Information on accreditation for Barry's School Counseling Specialization can be found at http://www.barry.edu/counseling-ms/about-program/accreditation.html. The Master of Science (MS) and Specialist in Education (EdS) Programs in Educational Leadership are approved by the Florida Department of Education. 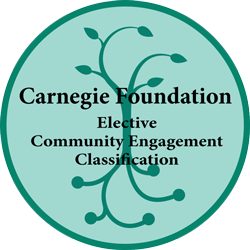 Completion of the Educational Leadership program provides a candidate with eligibility to obtain the Florida Department of Education Professional Educator's Certificate. A master's degree is offered in ESE. Endorsements in Autism can be added to the degree program. In February 2003, the Florida Department of Education issued a memorandum informing all colleges and universities about the Endorsement in Autism. The Endorsement consists of 12 credits (four courses) beyond, or in addition to, a valid certificate in Exceptional Student Education (ESE). The Endorsement in Autism may be added to a Bachelor's or Master's degree in ESE. You can find additional information regarding Barry's program for the Autism Endorsement at http://www.barry.edu/eseMS/About/endorsementAutism.htm. A master's degree is offered in ESE. Endorsements in Gifted can be added to the degree program. The Gifted Endorsement is composed of five courses, which adhere to the exemplary standards for graduate programs in gifted education and position papers by the National Association for Gifted Children (NAGC), the performance based-standards of the Council for Exceptional Children (CEC), and the Florida Competencies for Exceptional Student Education and Gifted (FCESE/G). Barry's core courses for the Gifted Endorsement meet the specialization requirements of the Florida Gifted Endorsement (6A-4.01791). The NAGC can be accessed at www.nagc.org; the CEC be accessed at www.cec.sped.org. The Master of Science (MS) in Reading Program is also approved by the Florida Department of Education for Reading Certification. This means that a graduate will be eligible for state Reading Certification and qualified to be a Reading Specialist. This is a 30-credit program. Information on accreditation for Barry's Reading Programs is available at www.barry.edu/reading-ms/about/accreditation.html. The Reading Endorsement is approved by the Florida Department of Education. This Endorsement will allow a graduate to be a highly-qualified teacher of Reading and be eligible to teach all reading courses. This is a 15-credit program. Information on accreditation for Barry's Reading Programs is available at www.barry.edu/reading-ms/about/accreditation.html. The Specialist in School Psychology Program (SSP) is approved by the Florida Department of Education and by the National Association of School Psychologists (NASP). Information on accreditation for Barry's School Psychology program can be found at www.barry.edu/school-psychology/accreditations.html. The NASP website can be accessed at www.nasponline.org. The Master of Science (MS) and Specialist in Education (EdS) in Montessori Education Programs at Barry University are accredited by the Montessori Accreditation Council for Teacher Education (MACTE). With this accreditation in place, we are able to recommend our students, upon completion of their Montessori program, to the American Montessori Society (AMS) for a teaching certificate in their area of specialization (Elementary I & II or Early Childhood). The AMS certificate is a lifetime certification and recognized in the USA and abroad. The MACTE website can be accessed at www.macte.org. Barry University's Specialist in School Psychology (SSP) program is approved by the Florida Department of Education and by the National Association of School Psychologists (NASP). NASP program approval/national recognition is an important indicator of quality graduate education in school psychology, comprehensive content, and extensive and properly supervised field experiences and internships. Obtaining national certification enables you to practice in other states without undergoing recertification. Information for accreditation for Barry's Specialist in School Psychology (SSP) program can be found at www.barry.edu/school-psychology/accreditations.html. The Florida Department of Education website can be accessed at www.fldoe.org. The National Association of School Psychologists (NASP) website can be accessed at www.nasponline.org/.